For today’s Destination of the Week, we head to TPG Managing Editor Eric’s hometown of San Diego to soak in the sun at the world-class beaches just north of the city in La Jolla and beyond. Now that the June gloom has cleared for good, the Del Mar Fair traffic has cleared out and the racing season has begun at the Del Mar Race Track, it’s an ideal time to visit the sleepy beach towns just north of San Diego for surfing, sun and sand, not to mention tons of great hotels where you can use your points, and a burgeoning restaurant scene where young chefs are making a splash. Though we’ll cover the city of San Diego itself in a future post, this time around we’re going to concentrate just north of the city from La Jolla onward to Del Mar, Encinitas and Carlsbad since it’s the ideal time of year to visit. Here are some of the fun things you can do while you’re up there. Grab some gear and take surf lessons at Hansen’s in Encinitas. Activities Pick out a board and some gear at a San Diego surfing institution that’s been around since 1967, at Mitch’s in Solana Beach, and then right next door you can also rent boards and gear by the hour or day at Surf Ride and set up surfing lessons for yourself and the whole family. 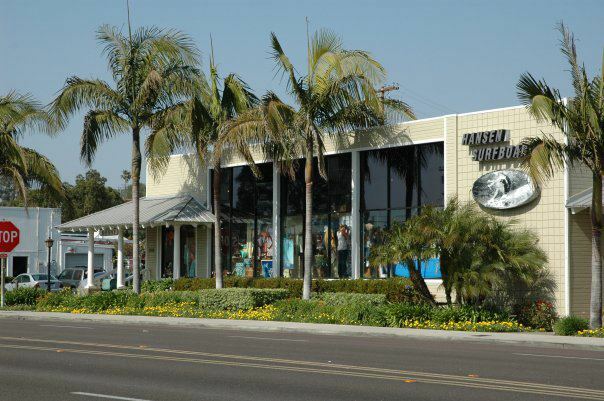 There’s also the huge surf store Hansen’s in Encinitas, where you can pick up items for your day out on the waves and arrange lessons with local surf instructors at various experience levels. You’re not in Africa. You can see these big game at the San Diego Wild Animal Park. Though the world-famous San Diego Zoo and Sea World are down closer to the city, there are still plenty of family-friendly activities to keep visitors busy up in this part of town. 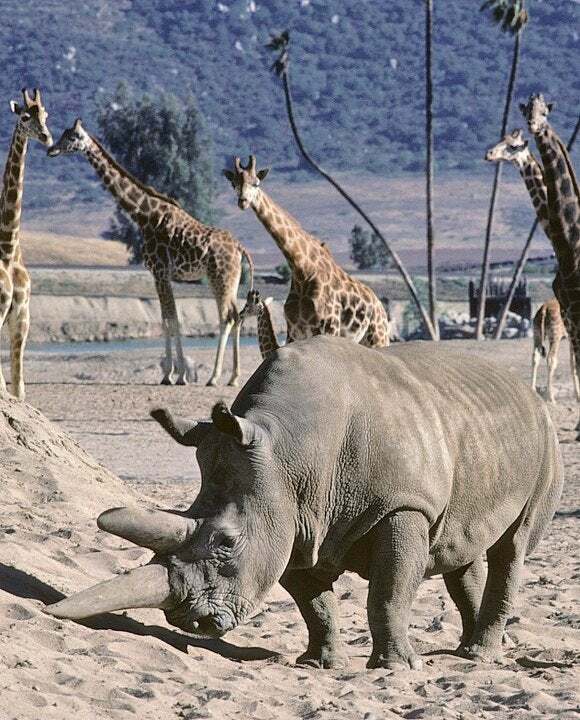 A sort of annex to the Zoo, the San Diego Wild Animal Park (also known as the Safari Park) is a huge wildlife sanctuary up in Escondido (about 30 miles inland from Carlsbad) that is home to nearly 4,000 animals representing 260 species, as well as a botanical garden on 1,800 acres. A visit to the park is like going on a safari where you can see big game roaming the grounds. Day tickets here cost $42 for adults and $32 for children. Those with smaller children should definitely plan a visit to LEGOLand up near the coast in Carlsbad. It has over 50 rides, including the Sea Life Aquarium, and the Lost Kingdom Adventure, an all-terrain thrill ride where kids can hunt for hidden treasure. Tickets start at $60 for adults and $52 for children. 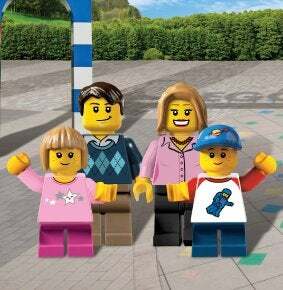 Take the whole family to LEGOLand for a day of fun on over 50 rides. For the more academically inclined, the Stephen Birch Aquarium in La Jolla is a phenomenal aquarium adjacent to UCSD that specializes in Pacific Ocean marine biology and hosts a raft of hands-on activities for children including educational visits to an outdoor tide pool. Cuisine Though San Diego’s restaurant scene has been a bit sleepy in the past, it’s now home to a ton of new restaurants, a cadre of creative young chefs, and some great eats. Here are some favorites to try in this part of town. Part of the new buzz is thanks to Top Chef finalist Brian Malarkey’s ever-expanding group of restaurants including the year-old Burlap in Del Mar. It’s inland from the 5 freeway and in a mall, but don’t let the setting fool you. The playful Pacific Rim fusion food is daring, innovative and delicious. The menu at Burlap is as eclectic and colorful as the dining room. 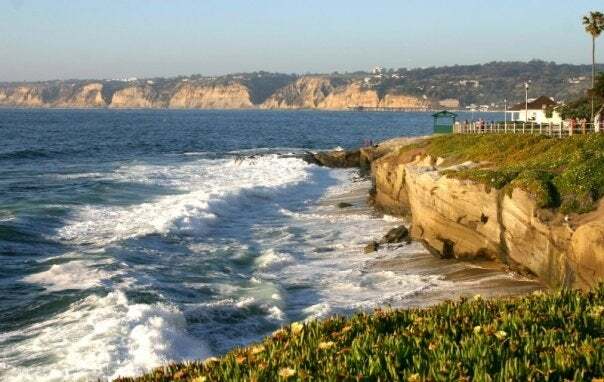 La Jolla is an upscale retreat for both well-heeled San Diegan’s and summer turistas alike, with breathtaking views up and down the coast. Grab a table on the deck at George’s at the Cove for the best views, but for dinner head to Eddie V’s for some classic surf and turf with live music, or head down into the village of La Jolla near La Jolla Shores beach for some upscale Italian dishes at a perennial favorite, Piatti. One of the best places in town to watch the sunset is from the deck out at Del Mar Plaza, right in the heart of the charming beach village, where you can enjoy a cocktail before heading to dinner at Flavor Del Mar, another newish California cuisine restaurant whose dining room is always packed, or the more staid Pacifica Del Mar, and perhaps a nightcap at Flavor’s wine bar, Sip. Pizza Port is one of the best spots in town for locally brewed beer and handmade wood-fired pizzas. 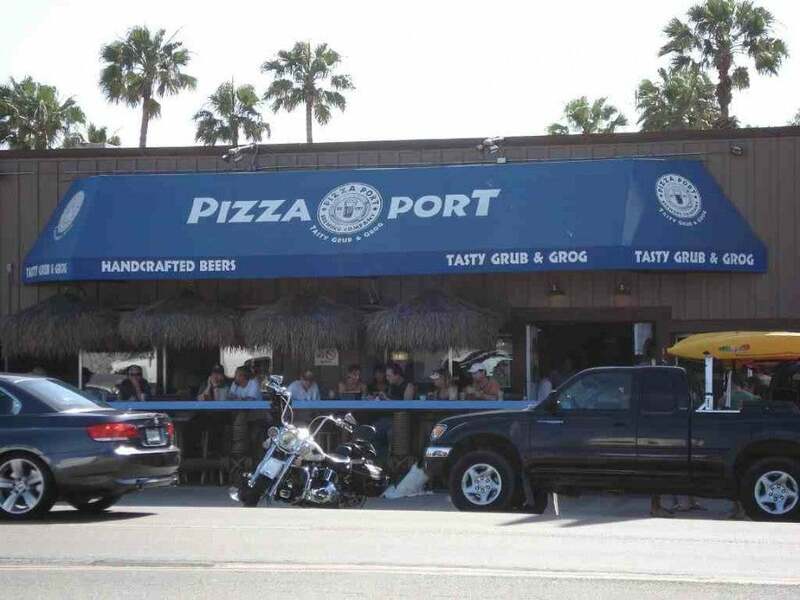 On the more casual side of things, Pizza Port right along the Coast Highway in Solana Beach is a fantastic, divey joint to snag a fresh-made wood-fired pizza and a frosty pint of locally brewed beer or ale, including their house special, Shark Bite Red Ale. It’s the perfect fuel after a day out catching waves at the nearby beaches. Later in the evening head down to Cedros Avenue nearby to catch live bands at a favorite local hangout, the Belly Up Tavern. Up in Encinitas and Carlsbad, Vigilucci’s and Trattoria I Trulli are two longstanding staples that serve authentic Italian cuisine in a rarefied but laidback setting that welcomes everyone from romantic couples celebrating a milestone to families gathering for a convivial early supper. Even if you’re trying to stay in summer swimsuit shape, skipping the pasta dishes would be a mistake. Those are some of my things to do when I head home, but what other San Diego suggestions do you have? 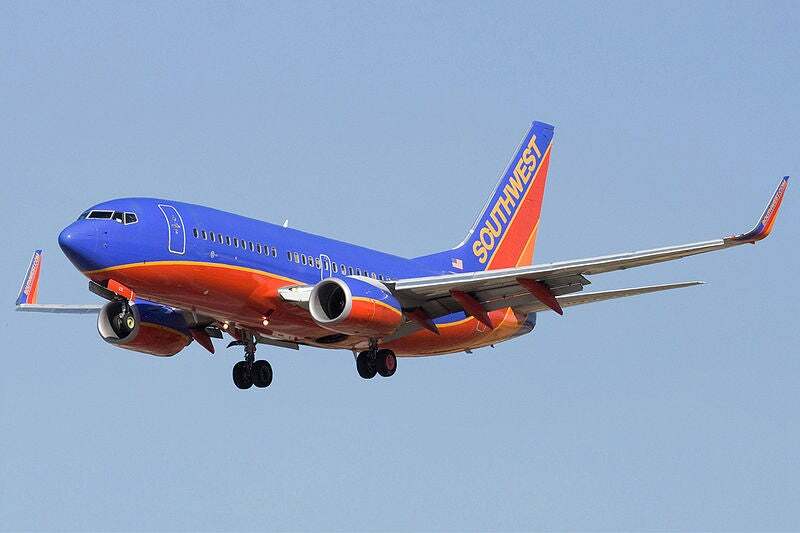 Southwest Airlines has the largest presence at San Diego Lindbergh Field. Lobby foyer at the Hilton Carlsbad Oceanfront Resort & Spa. 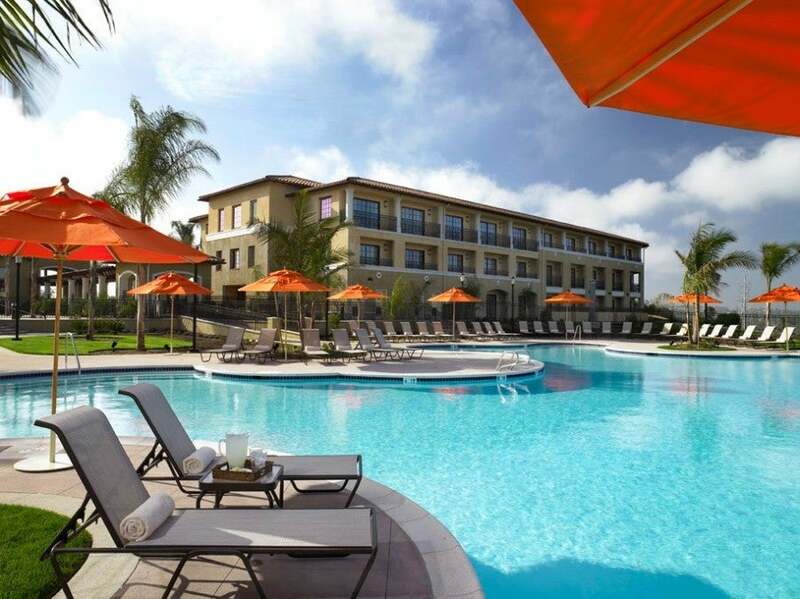 Hilton Carlsbad Oceanfront Resort & Spa: Located six miles South of Carlsbad, this newly opened property has 215 guest rooms and suites with Hilton’s Serenity bed, complimentary wireless internet access, 42-inch plasma TV’s and granite bathrooms. There is the 5,600-square-foot Ocean Crest Spa which offers an array of treatments. The hotel has an outdoor ocean view swimming pool, whirlpool, and a fitness center. The main restaurant is Chandler’s Restaurant & Lounge which offers a coastal regional menu while using local ingredients. Rates in August begin at $209 or 50,000 Hilton HHonors points since this is a Category 7 property. Exterior view of the Hilton Torrey Pines. Hilton La Jolla Torrey Pines: This hotel is located between the towns of La Jolla and Del Mar on beautiful bluffs overlooking the ocean. There are 394 guest rooms including 17 suites with modern amenities such as high-speed internet access, 42-inch LCD TV’s and the Hilton Serenity bed. All the rooms here have a private balcony or patio and offer views of either the Torrey Pines Golf Course, gardens, or the Pacific Ocean. 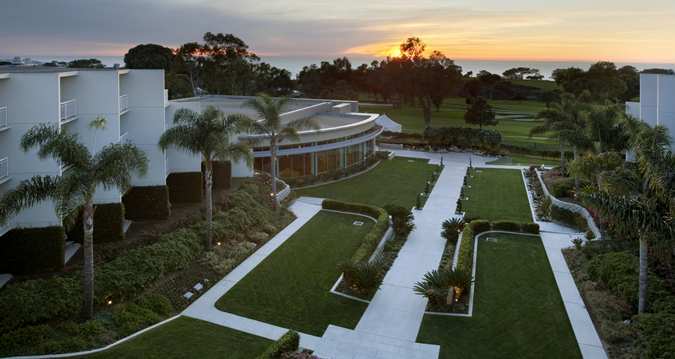 Guests have access to the fitness center and the Spa at Torrey Pines, with steam room and sauna. There is an outdoor swimming pool, whirlpool, putting green, two lighted tennis courts, and one basketball court. The hotel features their Californian inspired restaurant, Torryana Grille, which serves breakfast, lunch, and dinner. Rates in August begin at $159 or 40,000 Hilton HHonors points since this is a Category 6 property. There is also the Hilton San Diego/Del Mar located near the racetrack, which is a Category 6 property so it requires 40,000 Hilton HHonors points for a free night redemption, and the Hilton Garden Inn Carlsbad Beach which is also a Category 6 property requiring 40,000 Hilton HHonors points. The Park Hyatt Aviara’s expansive lobby area. Hyatt Park Hyatt Aviara Resort: This former Four Seasons was rebranded as the Park Hyatt Aviara a few years ago and sits on a hilltop in Carlsbad, a few minutes’ drive from the beach. It has 329 guest rooms including 44 suites all with private balconies or terraces. Rooms start at 540 square feet and feature marble bathrooms with a separate shower and deep soaking tub. There is an outdoor family swimming pool and a private adults only tranquility pool with two whirlpools. The hotel’s 15,000-square-foot Aviara Spa has an indoor solarium lounge area, whirlpools, saunas, steam rooms. There is a full-service fitness center and six lighted tennis courts for guest use. When it comes to golf, hotel guests receive preferred tee times at the Aviara Gold Club. Dining options include Vivace, the hotel’s signature Italian restaurant, California Bistro, Argyle Steakhouse and the Ocean Pool Bar & Grill. The lowest rates we could find in August were $325 for a Park Room. This is a Category 6 hotel, so free night redemptions require 22,000 Gold Passport points for standard rooms and 27,000 for suites. This property participates in both American Express Fine Hotels and the Visa Signature Hotels programs. 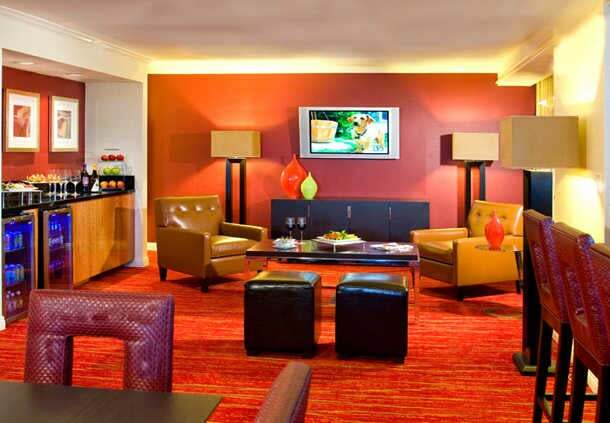 There is also the 419 room Hyatt Regency La Jolla which is a Category 5 hotel requiring 18,000 Gold Passport points for a free night redemption. The concierge lounge at the San Diego Marriott La Jolla. Marriott San Diego Marriott La Jolla: This property has 349 guest rooms and 11 suites, all featuring Marriott’s Revive bedding and 42-inch plasma TV’s. The hotel has two concierge floors, both with access to the concierge lounge featuring a complimentary continental breakfast, hors d’oeuvres, dessert and a honor bar. There is an indoor/outdoor swimming pool, whirlpool, business center and fitness center. 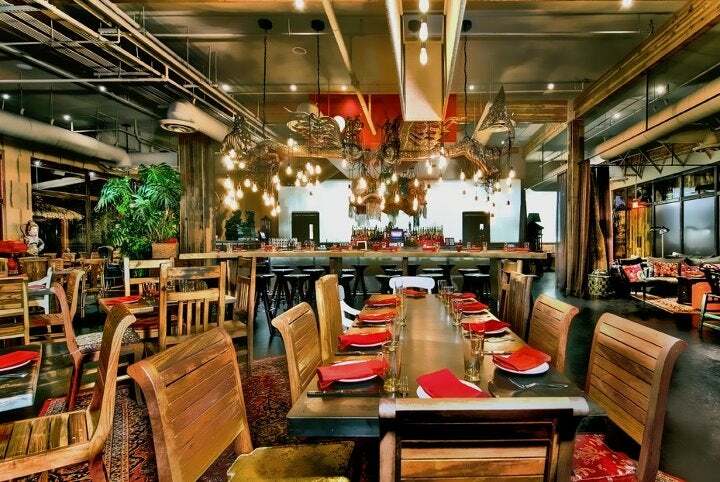 4240 Restaurant is the hotel’s casual restaurant featuring Californian cuisine. Other dining options on-site include Blue Jewel, Characters Bar & Grill, and Quench Marketplace. Rates in August begin at $179 per night. This is a Marriott Category 5 property, and requires 25,000 Marriott Rewards Points (20,000 with PointSavers) for a free-night redemption. Other Marriott properties in the area include the 284-room San Diego Marriott Del Mar, which is located near the racetrack but is primarily more of a business destination. This is a Marriott Category 5 property, and requires 25,000 Marriott Rewards Points for a free-night redemption. There is also the Category 4 Residence Inn San Diego La Jolla requires 20,000 Marriott Rewards Points for a free-night redemption. Double guest room at the Hotel Indigo Del Mar. Traditional King guest room at the Sheraton La Jolla. Sheraton La Jolla: Located on 7.5 acres in La Jolla’s Golden Triangle business district, this resort-style property has 252 guest rooms and suites in five buildings. There is a club floor with Sheraton Club lounge serving complimentary breakfast and hors d’ oeuvres. Guests have full of use of the hotel’s fitness center. There is an outdoor swimming pool with waterfall and koi fish pond. The main restaurant, Humphreys Grill, is open for breakfast, lunch, and dinner. There is free wireless internet throughout and Link at Sheraton in the lobby which has computers for complimentary guest use. Rates in August start at $149 per night or 7,000 SPG points as this a category 3 SPG hotel. Pool area at the Sheraton Carlsbad Resort. 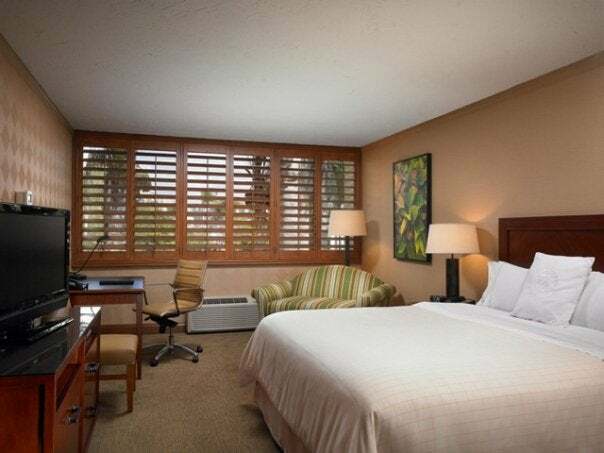 Sheraton Carlsbad Resort & Spa: This hotel has 250 guest rooms and suites all with Sheraton’s Sweet Sleeper bed, flatscreen TV’s and wireless internet access. There is an outdoor heated pool and Jacuzzi where guest can relax after a long day. Since this property is located next to LEGOLand, the hotel provides exclusive entrance to the park, which guests can take advantage of. The hotel is home to the Ocean Pearl Spa and fitness center. Twenty/20 Grill & Wine Bar features new vineyard cuisine and is open for all-day dining. Rates in August start at $179 per night. 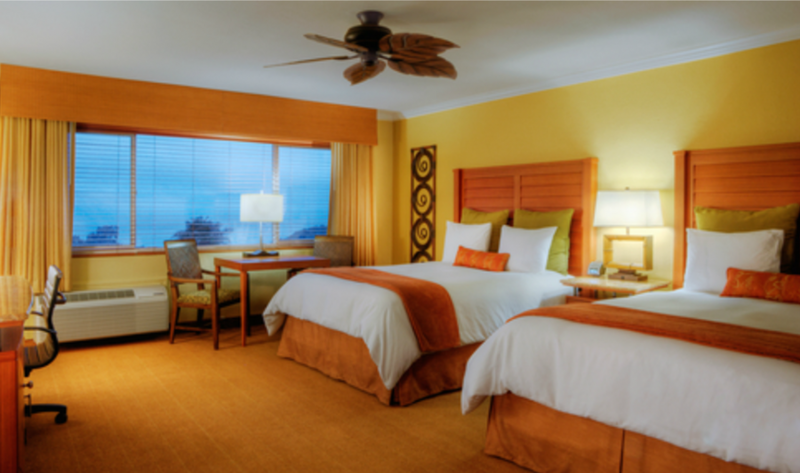 This is a SPG Category 4 property requiring 10,000 SPG points for a free night redemption. Fine Hotels Fine Hotels & Resorts is a program exclusively for American Express Platinum Card cardholders, who are eligible for extra benefits such as room upgrades, free continental breakfast, early check-in and late check-out, dining and spa credits and more. The Craftsman-style Lodge at Torrey Pines sits in one of San Diego’s most spectacular settings. 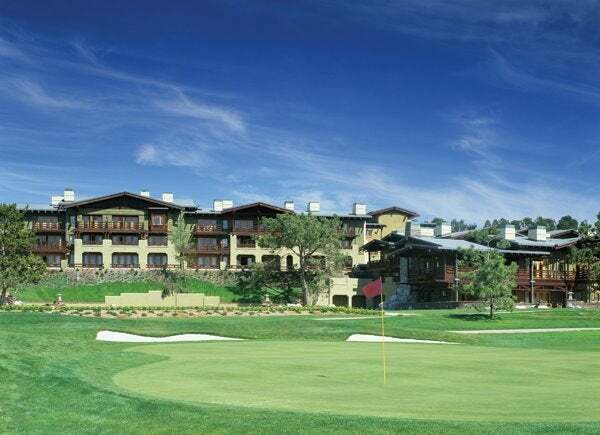 The Fine Hotels & Resorts here include the Park Hyatt Aviara as well as the Craftsman-style The Lodge at Torrey Pines, a favorite of golfers who can putt their stuff on the famous Torrey Pines course just outside. The hotel sits on scenic clifftops overlooking the Pacific. Its restaurant, AR Valentien, is named after a famous California architect, and a spa that uses the hotel’s own brand of aesthetic and healing products where travelers who book through Fine Hotels & Resorts get a $100 spa credit per stay. Rates here in August start at $305 per night. This is also a Visa Signature hotel. The Grand Del Mar is great for nature lovers who also crave a bit of luxury. 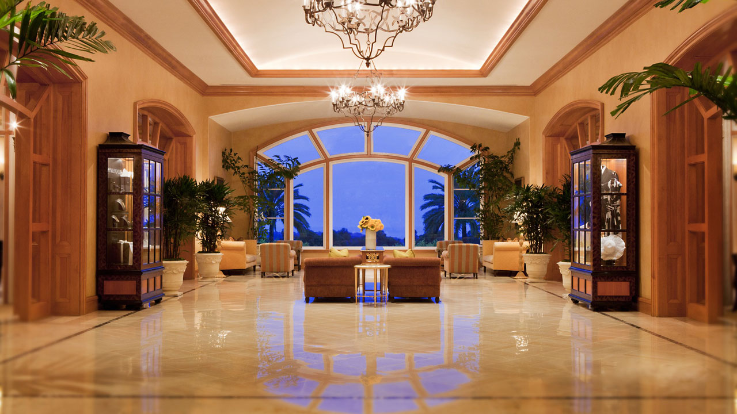 The Grand Del Mar is North County’s other Fine Hotels & Resort member, and rightfully so. 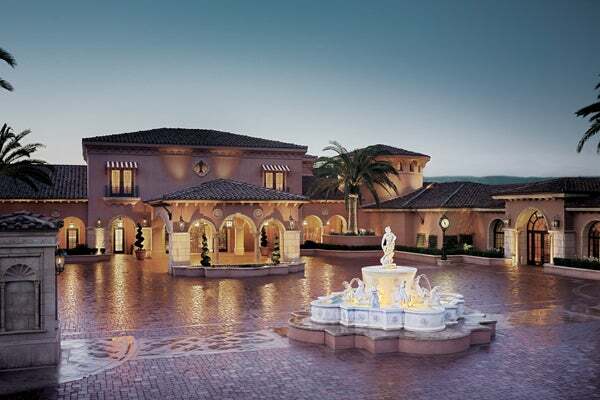 This sprawling resort’s Spanish-style architecture and lavish features hearkens back to the opulent resorts of the Gilded Age. It sits just a couple miles from the coast in the Los Penasquitos Canyon Reserve with a golf course designed by Tom Fazio and one of the area’s most lauded restaurants, Addison. FHR guests get a $100 spa credit per stay. Rates in August start at $425 per night. Visa Signature Hotels When cardholders use a Visa Signature credit card to book a room through the Visa Signature Hotels program, they are eligible to receive extra perks such as discounted room rates, room upgrades, free breakfast, early check-in and late check-out, dining and spa credits and more. Visa Signature cards include the Chase Sapphire Preferred, Chase Sapphire, British Airways Visa Signature Card, the Hyatt card, the Marriott Rewards Premier and Marriott Rewards cards, the Southwest Plus card, Bank of America’s Alaska Airlines Visa Signature credit card and Hawaiian Airlines cards, Capital One Venture Rewards Credit Card, US Bank FlexPerks, Citi AAdvantage Visa Signature, and many more, so chances are you’re carrying at least one of them in your wallet. 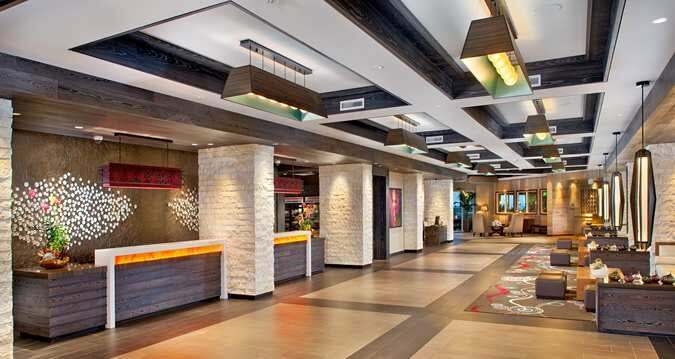 Visa Signature hotels in the area include La Jolla’s historic La Valencia Hotel. 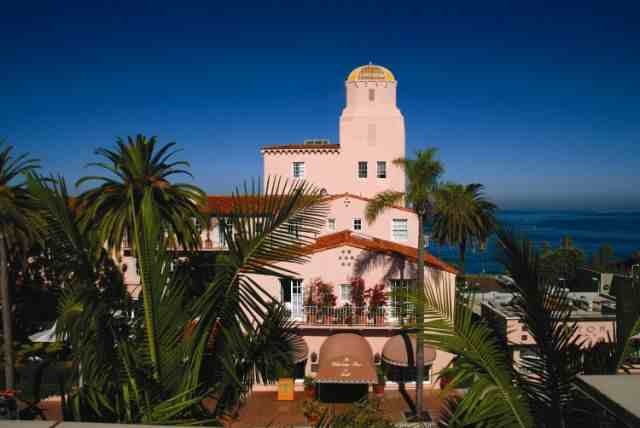 The Spanish-style Pink Lady of La Jolla, the La Valencia Hotel has been towering over Prospect Street and its tony boutiques and restaurants since 1926. 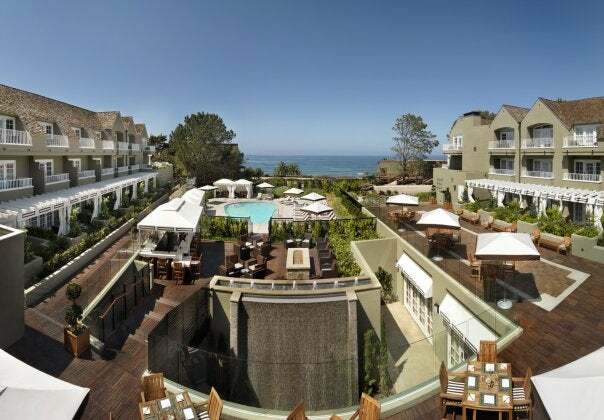 Its 119 rooms offer some of the best views up and down the coast. Rates here start at $320 in August. The view from the lobby patio at L’Auberge Del Mar, where guests can enjoy sunsets and bar snacks. Just up the coast in Del Mar is a coast resort par excellence (and another member of Visa Signature hotels), L’Auberge Del Mar. Its bar is one of the busiest scenes along the coast, while the back patio above the pool has sweeping views of the ocean and a great bar menu to choose from. It underwent a multi-million dollar renovation a few years ago and reemerged as a beautiful, beachy resort with a hot new restaurant, stunning spa, and rooms that are the perfect blend of coastal casualness and upscale pampering. Rates in August start at $450 and include free internet or valet parking ($50 value) and a $25 food and beverage credit for Visa Signature cardholders. The final Visa Signature hotel up here, La Costa Resort and Spa, is a few minutes farther north in Carlsbad. Rates here in April start at $195 a night.